Lord Mandelson's draconian anti-filesharing plans are designed to save the music business. But does it need saving? Thanks to evil music pirates, sales of singles in 2009 are, er, higher than they've ever been. 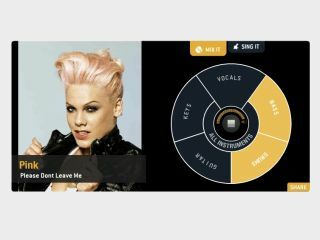 "This truly is the era of the digital single," Martin Talbot of the Official Charts Company says. "The UK Top 40 is now almost entirely comprised of digital singles," the British Phonographic Industry says. So does the music business really need saving from technology - or is technology saving it from itself? Our money's on the latter. Sales of both digital singles and albums are rising, but overall sales are still in decline. However, if you look at the bigger picture, there are plenty of ways for the music industry to benefit from technology - and not just through the precision marketing that's possible thanks to data mining and social networking. Industry body PRS For Music estimates the value of the UK recorded music market at £1.3 billion [PDF] and says that's one-third of the total music money pie. The recorded music slice is getting smaller, but that doesn't mean the pie is. So where will the money come from if not from sales of CDs? First up, there's more to the music business than selling songs. PRS For Music: "The so-called disengaged majority – a full 60% of the UK population - may in fact engage with music through a variety of legal alternatives to music retail (eg live venues, YouTube, BBC and commercial radio). Importantly, some of these alternatives are provided for free at the point of consumption, with compensation taking place further up the supply chain." A good example of this is YouTube or the free version of Spotify. Playback is free to us, but the sites generate advertising revenue that helps pay for the music they use. YouTube doesn't say how much it brings in, but according to Out-Law.com Spotify brings in around £82,000 per month in advertising income. Free content can also be used to up-sell and cross-sell so, for example, somebody watching a Muse clip may well want to see Muse live or buy a Muse concert DVD. The free service didn't generate money directly, but it still generated money. Subscription services can generate serious sums, too. U2.com's $50 annual subscriptions keep Bono in sunglasses, while Spotify's premium users generate annual revenues of up to £72 million (Out-Law again). When you compare that to the £3 million Spotify is said to pay for the rights to stream music, it's clear that subscription services have the potential to be wildly profitable - which is presumably why MSN is making MSN Music a Spotify-a-like. PRS For Music says: "[in] a worst case scenario, if the entire music buying population converted to services like Spotify, and only half of them converted to subscription, the industry would still break even."